Mr. Trainer has decades of extensive experience recording, teaching and touring. 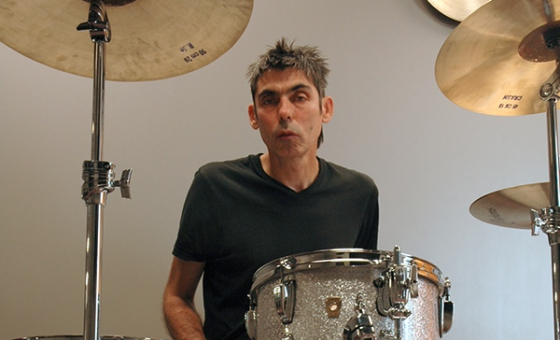 He is a current and founding member of the rock band Shellac. He has amassed a treasured collection of critically acclaimed recordings, appearing on over 25 records, and has graced stages worldwide, performing in over 35 countries. He appears on numerous "best-of" drummer lists, recently landing a spot on Spin Magazine's 100 Greatest Drummers of Alternative Music. Mr. Trainer is recognized worldwide as one of the most creative, original and unique drummers on the planet. He is endorsed by Bosphorus Cymbals and Ludwig Drums. My ultimate teaching goal is to have fun helping drummers of all abilities and ages achieve their ultimate drumming goals. We will focus on your ambitions and approach to customize excellent quality lessons that suit your individual interests, explore your potential, and maximize your improvement. Subjects such as cymbals, drums and drumheads will be incorporated into topics such as technique, tempo and tuning to help you acquire the knowledge and skills needed to completely create and develop your own distinct sound and unique style.